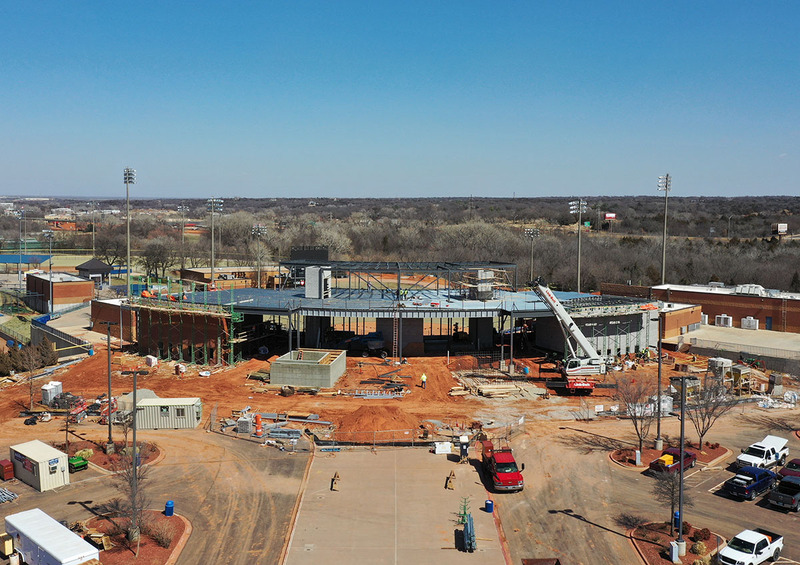 Located directly north of the Oklahoma City Zoo, the improvements are part of a contractual obligation that will keep the Women's College Softball World Series in town through the 2035 season. The work commenced at the end of the 2018 world series and will be built it two phases over a 2-year period. For the 2019 world series the project will still be in progress with some temporary measures in place to assure the complex would still be usable. Built in 1987, the stadium has been improved many times and now holds 7,300 spectators. As a part of the 2017 bond program, the money was set aside to perform what has been labeled as Phase III and Phase IV. 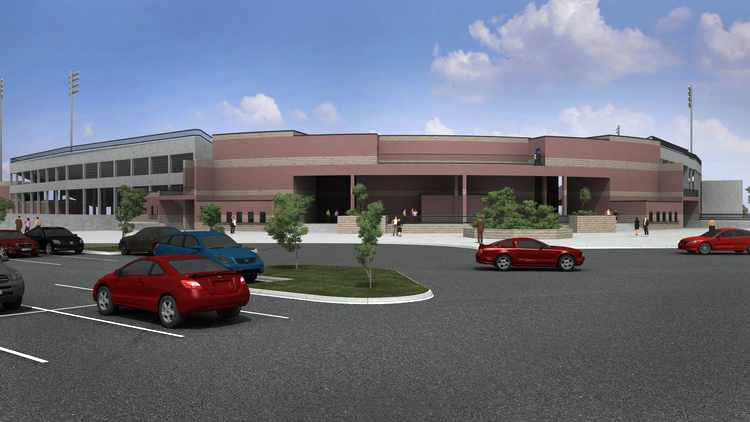 Triad Design, which has done considerable previous work at the complex, is the architect and engineer of record and they enlisted a sports consulting firm to provide input on such areas as spectator site lines and the needs of the media and press. 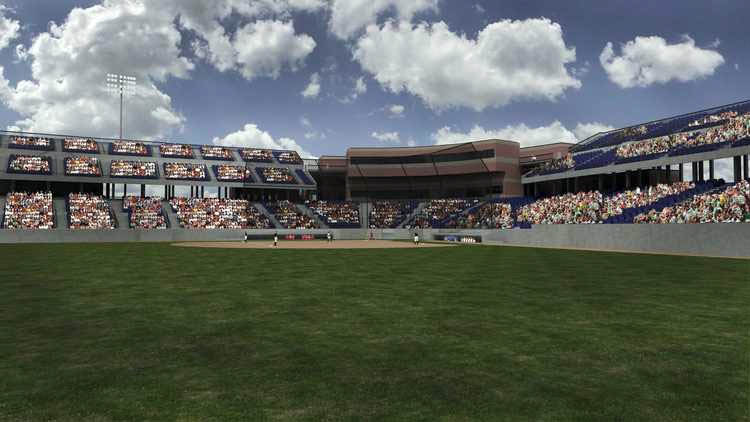 The improvements will ultimately add an upper deck of 4,000 additional seats, bringing capacity to 11,300. 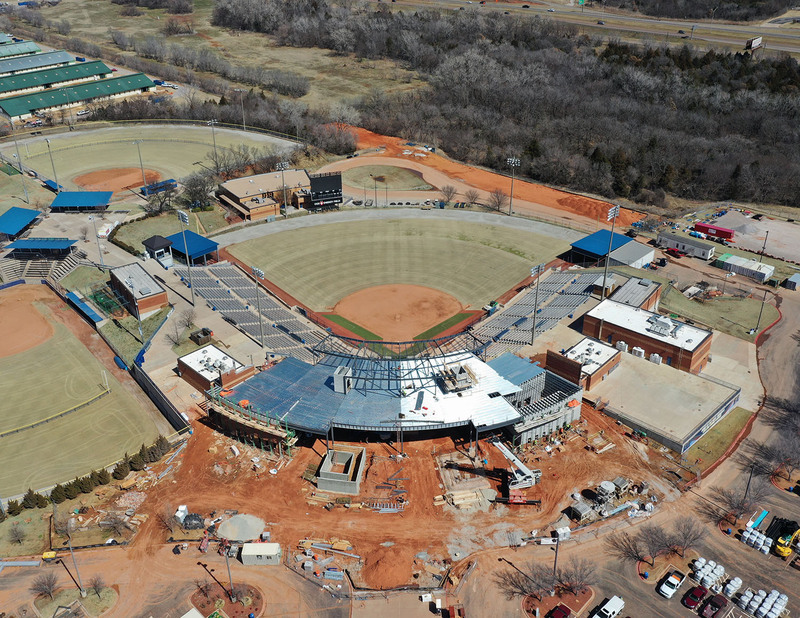 Other enhancements include new restrooms, suites, media areas and underground connection of team rooms to the dugouts. The entire project is set to be complete before the 2020 world series.